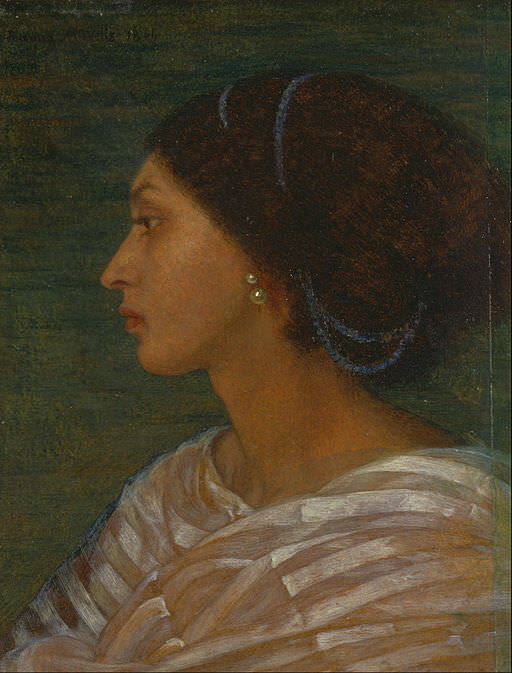 Head of a Mulatto Woman (Mrs. Eaton) by Joanna Boyce Wells, 1861. There are no descriptions of the Villard sisters by anyone who actually saw them. No one knows what they looked like. Sisters Marie and Catherine Villard were the mistresses of the New Orleans-based pirate brothers Pierre and Jean Laffite. Pierre had at least seven children with Marie. His relationship with her also proved handy for shielding the Laffites’ property from creditors. Marie Louise Villard (or Villars) was a free – i.e., not slave – mulatto or quadroon born in New Orleans about 1784. A mulatto was someone of half-African and half-European ancestry. A quadroon was someone of one-quarter African and three-quarters European blood. Marie’s younger sister Catherine (Catiche) was born about 1793 in New Orleans. The Villard family had been in Louisiana since the 1760s. They may originally have come from Saint-Domingue. According to William C. Davis, who has written the best-researched book about the Laffites (The Pirates Laffite: The Treacherous World of the Corsairs of the Gulf), Pierre Laffite and Marie Villard started their relationship sometime between 1803 and 1805. They may or may not have negotiated a formal plaçage. This was an arrangement in which white men entered into the equivalent of common-law marriages with women of African, Native American or mixed-race descent. The women were not legally recognized as wives, but were known as placées. The man would provide a house and support for his plaçée and their children, even if he also established a white family. The house became the property of the woman and could be passed on to her heirs. When Pierre met Marie Villard, he already had one son, named Eugene or Pierre, born around 1802, probably in Saint-Domingue. Pierre and Marie had at least seven children together: Catherine Coralie (born 1806 or 1807), Martin Firmin (late 1807 or early 1808), Jean Baptiste (1810), Rosa (1812), Jean (1816 – the earlier Jean may have died), Adele (1819), and Joseph (May 2, 1821). Joseph is the baby Marie is nursing in Napoleon in America. Pierre used Marie to shield his property from the law. In 1814, when New Orleans merchant Paul Lanusse (the uncle of Louis Lauret) and three other parties obtained a district court judgment against him for almost $10,000 for “money robbed from them,” Pierre claimed he owned “nothing but his industry.” (2) Meanwhile, Marie Villard purchased a house on Dumaine Street, probably with money provided by Pierre. As William C. Davis notes on the Laffite Society website, while the New Orleans cathedral baptism records appear to confirm that Marie Villard was Pierre Laffite’s mistress, there is less evidence connecting Jean Laffite with Marie’s younger sister Catherine Villard. Davis surmises in his book that in 1815 – when the Laffites received a presidential pardon and could resume their public life in New Orleans – Jean started or resumed his involvement with Catherine (Catiche) who also lived in the Dumaine Street house. She became pregnant and gave birth to their son, Jean Pierre, on November 4, 1815. Catiche had given birth to a daughter named Marie on November 10, 1813. It’s not known who the father was. Some speculate it was Jean. In August 1816, Pierre got Marie to buy a house at the northeast corner of Bourbon and St. Philip Streets for $5,500 (including a mortgage of $1,120). (3) Pierre also bought a female slave from Marie for $500, which he sold on the same day for $900, again using Marie to further his business transactions. (4) In April 1818, Marie sold the Bourbon and St. Philip house to one of Pierre’s associates. She repurchased it in 1819, paying in part with a promissory note guaranteed by Jean Laffite. In July 1820, Pierre wound up the Laffites’ business in New Orleans before heading to Mexico. Again Marie’s Bourbon and St. Philip house was sold. Pierre moved Marie and the children a few blocks northeast to Esplanade Street in the Faubourg Marigny, a relatively poor suburb where most of the free coloured population of New Orleans lived. There is reference to a mulatto or quadroon mistress being with Jean at Galveston in 1819, but this may not have been Catiche. In any case, she probably didn’t see Jean after he left Galveston in 1820. The 1822 New Orleans Directory lists Catiche Villard at 74 Hospital Street (now Governor Nicholls Street). There is no listing for Marie Villard, who may have been living with her sister. Sometime after Pierre’s death in November 1821 (see my post about George Schumph and the Death of Pierre Laffite), Marie Villard married or took a common-law husband by the name of P. Ramos. She died on October 27, 1833 at the age of 48. She is buried in New Orleans in St. Louis Cemetery No. 2. Catiche took up with Feliciano Ramos (possibly the son of P. Ramos) and had two children with him. Her son with Jean died during a cholera epidemic in New Orleans in October 1832. Catiche died July 2, 1858, around the age of 65. For more about Marie Villard, Catiche and the Laffites, see Pauline’s Pirates and Privateers blog and read William Davis’s book. Harriet Martineau, Society in America, Vol. II (London, 1837), pp. 326-327. William C. Davis, The Pirates Laffite: The Treacherous World of the Corsairs of the Gulf (Orlando, 2005), p. 137. 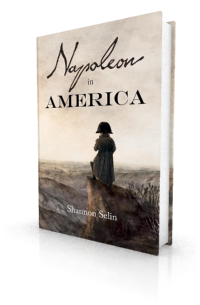 Every Quadroon woman believes that her partner will prove an exception to the rule of desertion. Every white lady believes that her husband has been an exception to the rule of seduction.